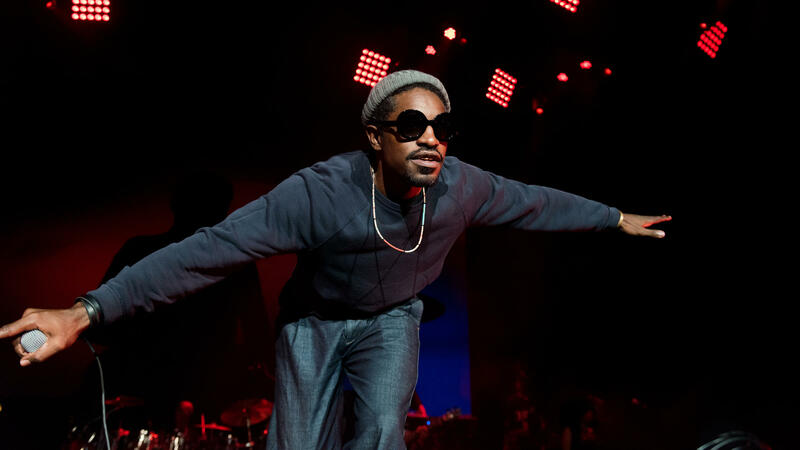 After years of solo silence, André 3000 returns with two new soul-baring songs. He's posted the two soul-baring songs, "Me&My (To Bury Your Parents)" and "Look Ma No Hands," on SoundCloud and even created an Instagram page — likely his first foray into social media — where he's posted handwritten lyrics to "Me&My (To Bury Your Parents)," along with song credits and a photo from childhood with he and his mother Sharon Benjamin-Hodo. The page also contains screenshots of text messages they exchanged on his 37th birthday, the day before she died in 2013. André lost his father Lawrence Walker less than a year later, in February, 2014. "Me and my mother drivin' to the grocery sto' / me ridin' shotgun with my window rolled down," he sings on "Me&My (To Bury Your Parents)," accompanied on piano by Kevin Kendrick. "She smokes cigarettes and gets what she gets by hustlin' harder / rollers and a nightgown." His second verse draws the contrast, with André riding shotgun to football games with his dad, who likes to sip cognac and keeps everybody laughing. "I was much happier when he was around...," he sings. "Zen, he was around." While both songs feature André on bass clarinet, the 17-minute "Look Ma No Hands," is a free-form 17-minute jazz escapade, sans vocals, that finds him improvising in conversation with featured artist James Blake on piano. In a bit of muffled dialogue after the winding song, André can be heard saying, probably to Blake, "looney tunes." For fans who've been pining for new music from André for years — teased by occasional reports of forthcoming solo projects that never quite surface — this thematic release feels more like an open window into his soul than a sign of more music to come. And while the latter would be more than welcome, it's pretty amazing that, after such a long, solo silence, André would invite the world to share in his most intimate mourning glory.